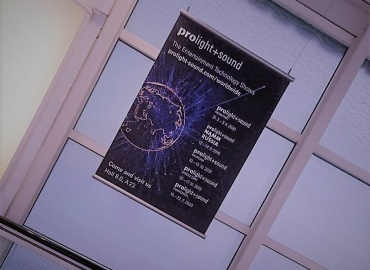 In the middle of things, live and up close: these are some of the central charateristics of Prolight + Sound. Trade visitors should not only look at new products in a similar way to in a museum, they should also get a feeling for sound, light or other effects that are so important in the event sector. The trade fair will continue to expand this principle this year: ‘Circle Stages’ as event areas for exhibitors. Starting in 2019, three halls are to be equipped with the Circle Stages. Exhibitors will have the opportunity to present their new products at central points in Halls 4.0, 4.1 and 8.0 and to give visitors a live insight into how it works. The round stages have a diameter of between 12 and 17 meters – sufficient for presentations, product demonstrations or other showcases. This way they will become an integral part of Prolight + Sound 2019. During the day, the Circle Stages will serve as a source of information with lectures, workshops and product and brand presentations. Exhibitors will be able to show innovations from their company in action, giving trade visitors the feeling of learning more about the product. 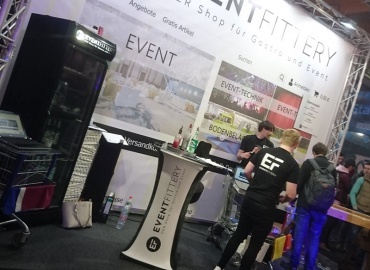 With a small gastronomic offer and integrated LEDs for the appropriate branding of the stage, the Circle Stages are an attractive addition to the diverse presentation possibilities of the trade fair. A day at the fair is long and exciting. The Circle Stages will provide the right variety in the evening. They serve as event locations with an appropriate entertainment program. Are you interested in a slot or would you like to take part in the supporting program? There are still plenty of opportunities for exhibitors. The contact person is Elena de Lange. Register with her now.